Re-released in 2001 by EMI as "Remixed"
Every time when I hear a song from TALK TALK I am remembered at this release in my collection. And if there is time enough I consider to hear it once again in order to examine something new and interesting. It contains 12 mixed tracks from the earlier synthie-pop influenced phase of TALK TALK - not really Prog but nevertheless my favourite phase of Mark Hollis & Co. Most of them are extended versions. For example from the wellknown songs 'It's my life', 'Life's what you make it' or 'Living in another world'. There are also some remixes of rare songs like 'My foolish friend', 'Without you' and 'Pictures of Bernadette' which haven't got a place on the former albums (which was a good decision). So my final conclusion is: disappointing - there is no reason to buy this - wasted money! 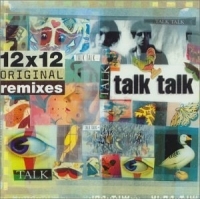 I believe nobody has asked for this remixes and no-one really needs them - even not a TALK TALK fan. In case we should forget that Talk Talk started life as an 80's pop outfit, this album helpfully presents us with a selection of their most commercially successful songs, duly remixed and extended. As such, pretty much all the tracks here are taken from their first three albums or from non-album singles of that period. The rhythm based structures of those early songs, together with the dominant synth sounds of the 1980's, mean that these tracks do lend themselves to such treatment rather well. The means of extension used for songs such as "Talk Talk", "Today", "It's my life", etc., are pretty predictable and unimaginative, with heavy drum beats and repeated synth themes. It is therefore to non- album tracks such as "My foolish friend" that we look for anything of interest. This particular number was released as a single, but it is nevertheless a fine song with some nice synth colours. On the other hand "Without you", which was the B side of "Dum dum girl" in both 7 and 12 format, is fairly standard b- side fodder, and one of the least interesting tracks. A number of the remixes are by producer and band member Tim Friese-Greene (so there can be no question of the band not approving of this album), his treatment of "Such a shame" being one of the highlights of this package. This is immediately followed by a dub mix by Steve Thompson of the same track, which offers an interestingly different take on the song. Overall, the strength of the material in pop terms means that the songs here sound superb. The contents will however only truly appeal to those with musical tastes which extend to dance orientated pop rock. 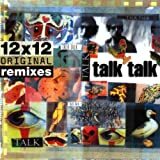 Post a review of TALK TALK "12x12 Original Remixes"